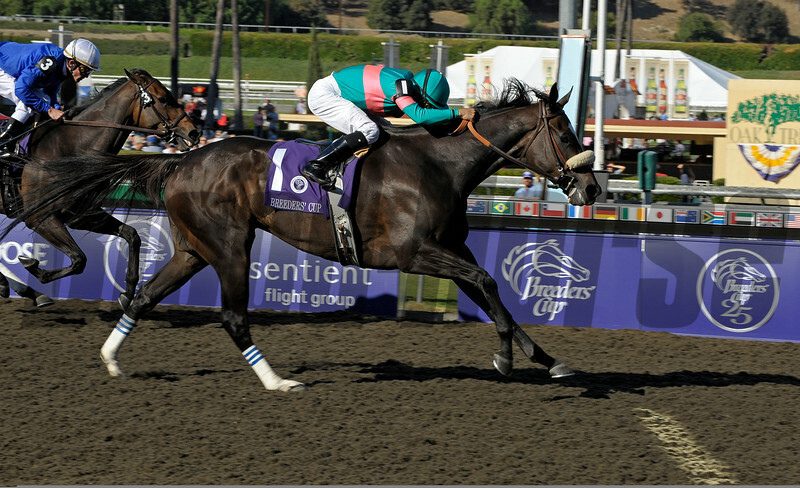 Zenyatta with Mike Smith wins the Breeders' Cup Ladies Classic (gr. I) on October 24, 2008, at Santa Anita in Arcadia, California. Cocoa Beach with Ramon Dominguez in second.